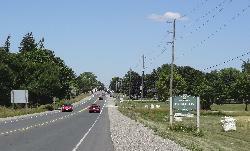 View of west side of Highway 27 in downton Thornton Ontario. 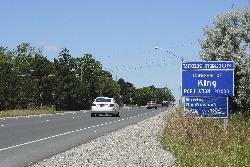 King Township Population Sign along Highway 27 northbound. King Township Ontario population pign along Highway 27 northbound in Ontario. Nobleton Welcome Sign along Highway 27 northbound. The Nobleton Ontario welcome sign along Highway 27 northbound. Barrie Population sign located at Highway 27 and Mapleview Avenue. This stretch is also known as Highway 131. Main Street Thonrton Ontario along Highway 27 northbound, approaching the town. 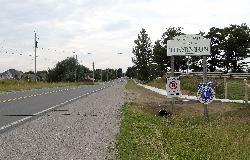 Thornton Ontario Welcome Sign along highway 27 north approaching the village(hamlet).